Beer and food other than pizza or a burger might not be the first choice for most, but a whole new world of flavours await you when you try it. The lowlander approach to beer pairing is simple: beer is even better with food, and food’s even better with beer. A sublime selection of beer makes both the dish ánd the beer taste better. So be adventurous: give beer a starring role in your dishes and make even a fancy dinner truly special without the wine. Go out and explore, beer pairing is all about creating memorable experiences when beer and food hit our taste buds. Bit of trivia for you: a simple way of beer pairing is using the abc’s. Accentuate is all about matching the flavours in the food and beer. Bridge creates a more advantaged pairing; flavours are similar but not part of the same flavour family. If you really want to be adventurous and explore unique options contrast is your way to go. Be brave, take a risk and blow your diners away. All three lowlander beers have bespoke food pairings. Our i.p.a. with its citrusy, fruity and bitter flavour goes well with indonesian and asian food. The intensity of the (meat) dishes stands up to the strong characteristics of this beer. The crisp and flowery flavour of our white ale simply asks for seafood, it brings out the salinity. The white ale is also quite refreshing paired with salads and spicy food. Brewed with vanilla & licorice root our poorter has a robust flavour with sweetness & depth. It cuts through creamy cheese dishes and balances the bold flavour of chocolate desserts. 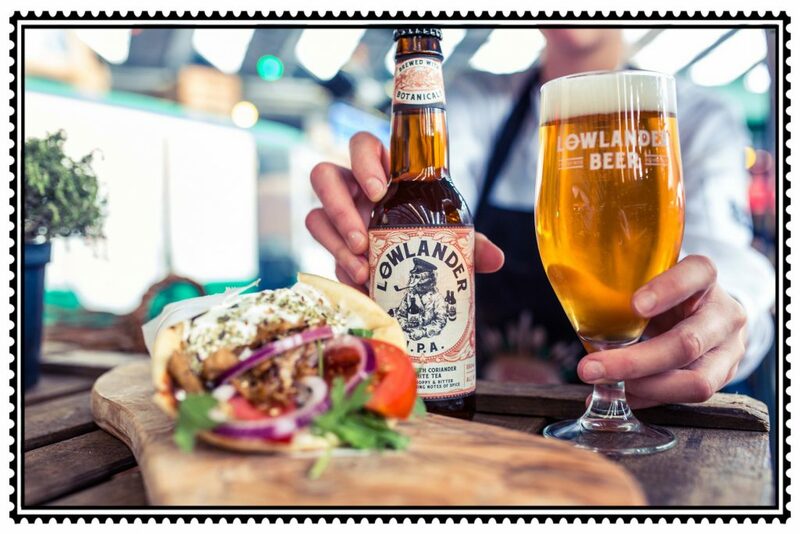 Move beyond the standard pub grub and take beer pairing to the next level with our lowlander beer pairing suggestions.